If you want to bring your virtual reality viewer with you on a road trip, you might want to think about investing in something a little bit smaller than, say, the Gear VR or Razer OSVR. 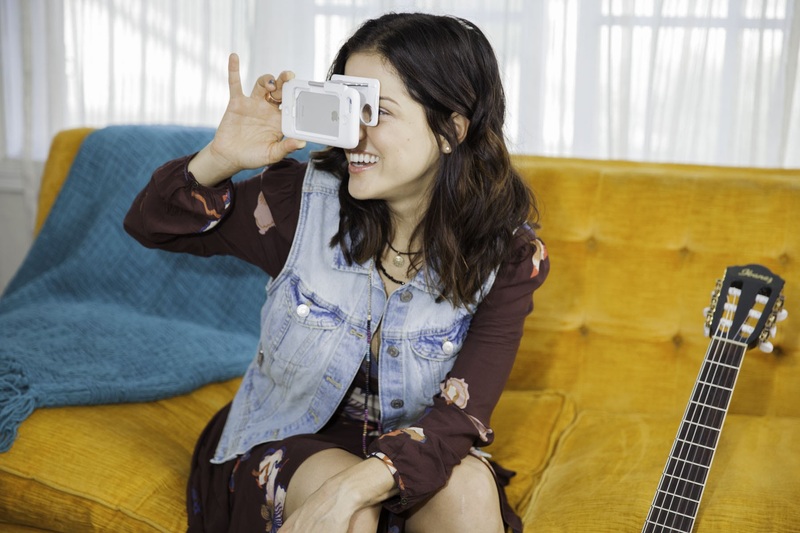 Sure, you could grab yourself a Google Cardboard kit, or some Merge VR goggles. But, what if you had a viewer and smartphone case in one? That's where Figment VR comes in. Read more: Is 2016 the year VR goes mainstream? Unlike a lot of mobile VR headsets which try to cater for most iOS and Android phones, Figment VR is a case fitted for the iPhone 6/6s or iPhone 6 Plus and 6s Plus. At first glance, it looks like a typical back cover that snaps onto the device. However, it has one interesting addition. There is a pair of lenses on the back side that, when the triggers are slid, snap out, flip around, and turn your iPhone into a virtual reality viewer. The idea is fairly clever and it should do fairly well on Kickstarter where the company is seeking funding. However, the glaring omission with this particular case is that it lets in light because there's no covering between the lens and the iPhone. A good virtual reality viewer needs a dark compartment for housing the smartphone so that the user can see images more clearly. Still, it is no bigger than the size of an iPhone case so the convenience might be hard to pass up. The Figment VR case works with any 360 degree video and VR content app available on iOS including Google Cardboard, Jaunt VR, VRSE and more. Early birds can pledge as low as $49 to preorder the VR viewer case which will retail for $79 when it goes public. Estimated shipping for the Figment VR case is March 2016 and Quantum Bakery is looking to raise $75,000.